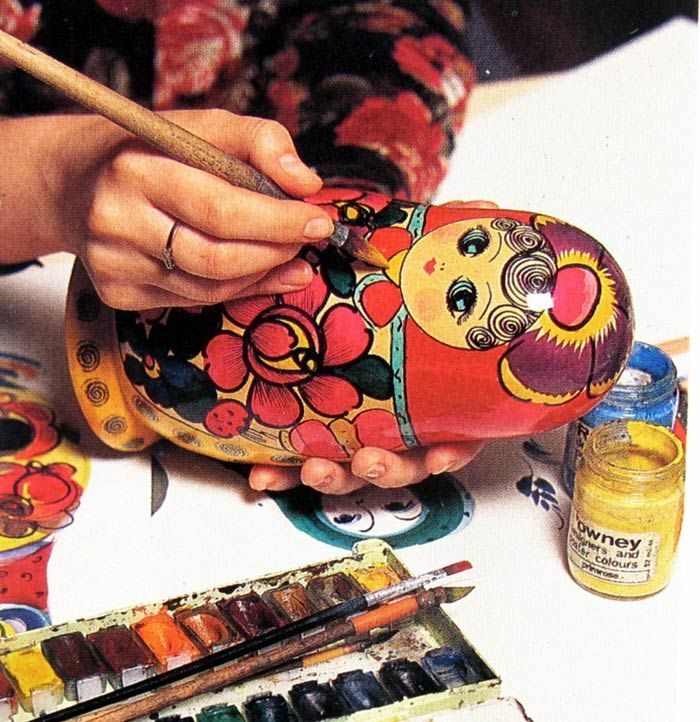 Published January 16, 2019 at 700 × 722 in Make your own Matryoshka!. Though it's still cold, you can already enjoy an amazing spring sunset near the Moscow river! Soup In a Bread Or What Do You Know About Russian Cuisine? Russia is famous by its architecture, history, literature and cold weather. However, Russian cuisine is often put aside. We suppose that is not fair as Russian dishes is not just food, but a masterpiece. It seems that everyone knows borsch (a soup from beetroot with some sour cream) as a specialty of Russian cuisine. Actually, it is not quite true. Borsch is popular only in the Western part of post-Soviet Union, while central regions prefer another soup – rassolnik. Rassolnik is a soup made from pickled cucumbers, pearl barley, and pork or beef kidneys. The dish is known to have existed as far back as the 15th century, when it was called kalya. It was a food of peasants as the dish is easy to cook and the ingredients are easy to find. That is a soup of generations as rassolnik became a part of common Soviet cuisine and is loved by Russians even now. Not only is Rassolnik tasty, but also good for your health. The secret is pickled cucumbers. The fermentation that these cucumbers make help the stomach to digest junk food, pork of beef kidneys give strength while pearl barley is a literally inside-scrab for your skin. In other words “A plate of Rassolnik a day keeps the doctor away”. There are classic places in Moscow: Kremlin, the Red Square, Saint Basil's Cathedral. But what if you are tired of standard programs and packs of loud tourists that smooth out the impression of Russian legacy? In this case we have a catchy tip for you. We recommend you to visit Peter's Road palace - an astonishing monument of architecture of the 18th century. A trip from St. Petersburg to Moscow in the eighteenth century was a serious journey that took several days on the road through the Tverskoy tract. Meant to be a place of royal rest before the entry into Moscow, the Road Palace was built in honor of the successful completion of the Russo-Turkish War of 1768-1774 by the decree of Catherine II. The Road Palace has preserved its beauty and dignity till nowadays and continues to be a place for pleasant leisure time. Tourists are welcome to visit fancy branches, enjoy Russian opera or just have a peaceful walk along the historic walls of the Palace. It is also functioning as a boutique hotel, where you can spend a night among luxurious interior for a reasonable price. For those who want to find out more guide tours are provided. Marlis Travel will be glad to assist with booking a tour or a hotel in Peter’s Road Palace. Victory Day is one of the most important days for Russians. Every family has their own hero who protected their Motherland and stood for freedom and sovereignty of its State. It is the day to commemorate the past and think about the future as Russians seek for piece, freedom and prosperity of the world. We invite you to Moscow, Saint - Petersburg and other cities of Russia to share this memorable Day with us. Have you ever watched northen lights?